Beacon Funding's financing calculator will set you up for financing success. Get your free estimate! Fast, Quick, and Easy Equipment Financing for tow trucks, boom trucks, septic pumpers and more! Partner with Beacon Funding to offer your customers financing options and earn rewards for each financed purchase or lease. Customized equipment financing options for your decorated apparel and embroidery business. We give you the best shot at qualifying for equipment financing. Watch real testimonials from people just like you. We're expanding our team throughout the U.S.. Join the Beacon Family. We focus on providing equipment financing to businesses within a variety of niche markets. Within these niche markets, Beacon Funding can provide a wider variety of equipment leasing options compared to other more generic lenders. Answer more calls with more trucks. Put on your productivity cap. Reach new heights with new trucks. Crank out prints like never before. Extend your reach with new crane equipment. Service your customers even better. We help you say yes to more deals. We have a unique credit approval process that allows you to get the equipment you need. 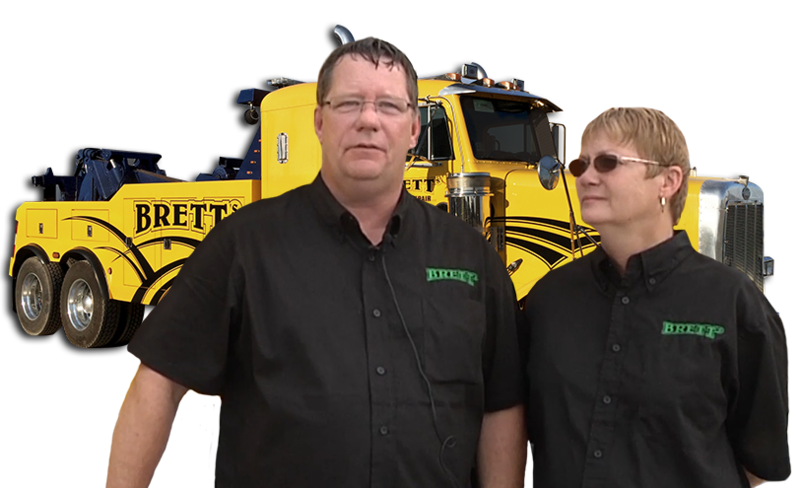 Brett's Towing grew their fleet to 6 trucks by financing 3 trucks with Beacon. "My consultant assisted me in every way possible and kept me informed throughout the entire process." "So easy to work with, everything was explained and laid out for me to understand better." "My consultant was on top of the paperwork and had it done in record time for us." "My consultant was quick to respond to all my emails and that resulted in a very fast turn around to get my deal done." "My consultant is a person who could understand someone like me. He did his best to help me. I was very lucky to pick up the phone that day. He saved me and made my dream come true. Without his help, I wouldn't have known where to go. Thank you to my consultant and Beacon Funding." "My consultant went above and beyond to ensure an easy and quick funding process. Very happy with overall experience." "My consultant was very helpful throughout the whole process. He always kept me informed and made getting a loan on an older piece of equipment simple."